Sometime as a passionate web developer you need to display some code snippets in your Joomla site especially in articles. If you know the way of archiving this goal, your task it could be very simple; but if you didn’t know how to archive your goal it will frustrate you. When I was browsing in Joomla extensions directory I wonder to find that there is no stable extension for this task. Unfortunately on the web there are several ways of archiving syntax highlighting but some of them are not working properly and others affects site performance. 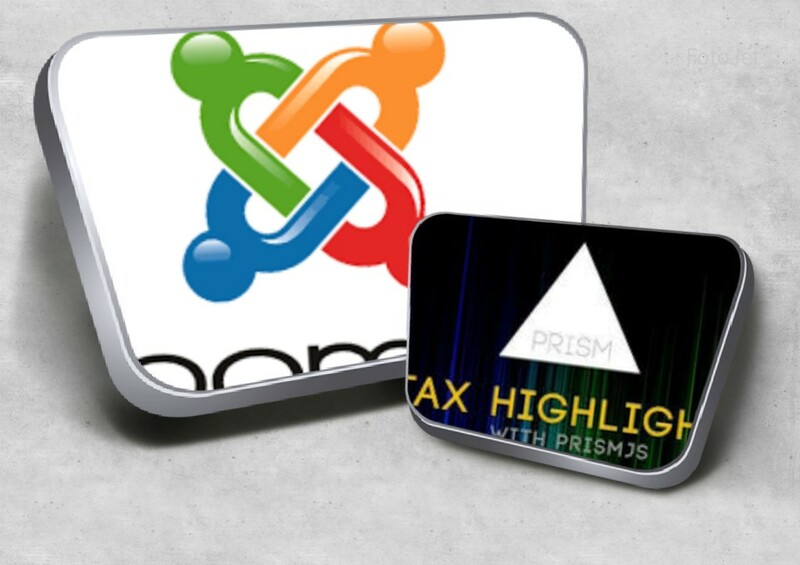 Here I will guide you through step by step toward adding Prism syntax highlighter in your Joomla site. I hope you have the working Joomla site together with basic knowledge of using and manipulating Joomla. Download Sourcerer from (regularlabs.com) and install in your Joomla site using extension manager. Select desired theme. For my side I will choose Coy. Remember as you chose many languages, the size of library files increase. Choose desired plugins, here I advise you to select “Line Highlight”, “Copy to Clipboard Button”, “Toolbar” and “Line Numbers” unless you are a programmer. Create folder in your root server of your site and name it to any name you can recall, upload those two files to that folder; make sure you can access them. tag by placing updated codes for the snippet below. Make sure you replace the “replace_with_location_of_your_folder” with actual folder location of the codes. In your Joomla site administrator Navigate to Content->Articles->Add new Article to create test article (For me I will show my example at the bottom of this article). At the top left of the editor there is new button from Sourcerer plugin that will help us to embed custom code in Joomla site labeled [<> Code]. Click it and you will see the snippet in a modal. Next modify the snippet as shown below and do not click insert. (If your language does not require escaping like CSS skip to number 9) Copy your code snippet you want to highlight and got to (Html-escape) paste your snippet and click ESCAPE button; after Escaping your codes copy escaped codes. Paste your escaped codes (or normal codes if escaping is not needed between the snipet bellow and click insert. Save your article and preview it. If you want to preview the article with no link vistit http://yoursite.com/index.php?option=com_content&view=article&id=*** (*** is your Joomla article ID)in order to view your article. I hope if you followed all procedures correctly you can see a nice syntax highlight in your site. If you encountered any problem or you have any suggestion or question please let me know. Furthermore, I will be happy if you tell me that it worked for you in the comments below. Thanks!